To allow family members from the Midwest enough time to make arrangements to attend Shirley’s Celebration Service and to avoid having the service on a grandchild’s birthday, we have set the Celebration Service for November 3rd. 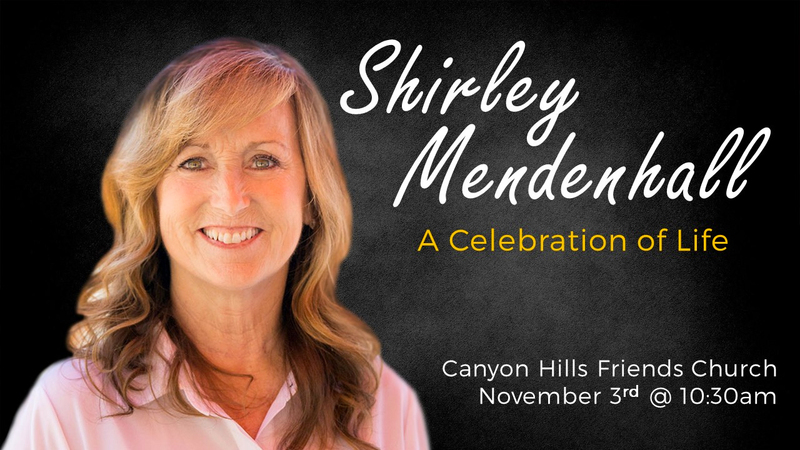 In lieu of flowers, or other kind gifts, Shirley expressed her desire for gifts to be given to “The Park” at Canyon Hills. Rather than flowers that fade so quickly she desired for funds to be used for “The Park” – something that will last much longer and bless so many others in the years to come.